On October 24th, your humble narrator will be assisting with the hosting duties on a voyage which will depart from the South Street Seaport’s Pier 17 in the Shining City of Manhattan, crossing the East River, and will be entering that hypnotic cataract of forbidden history called the Newtown Creek. The tour will be led by the photographer and historian Bernard Ente, and will be operating under the auspices and sponsorship of the Working Harbor Committee. A certain long winded and humble narrator can be expected to speak to the crowd, as well, lords and ladies. 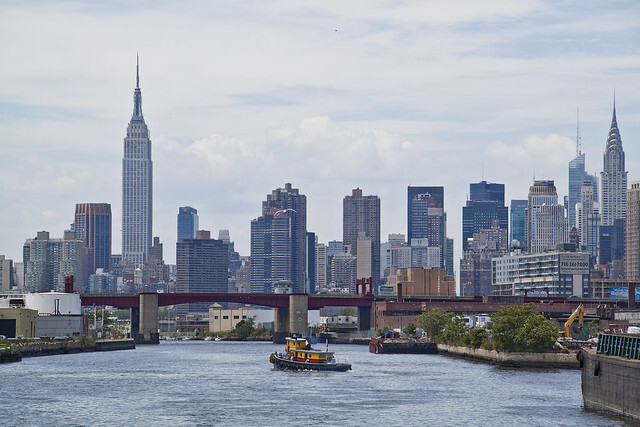 Please join us, on the “American Princess“, a modern and comfortable vessel- for a fully narrated three hour tour of the Newtown Creek which will journey all the way back to the “Heart of Darkness” at English Kills. All attendees will receive a brochure of historic maps, and thanks to the fully narrated tour, observers will be able to discern those ancient forces which govern the Creek to this very day. A sturdy and modern vessel will be collecting the group at Pier 17 (South Street Seaport) and returning attendees there afterwards. Invited speakers and guest narrators will point out and discuss various points of interest encountered by the ship- whether they be historical, environmental, or conservation based in nature. The itinerary will take the party some distance along the storied waterway, and both the Greenpoint Avenue Bridge and the Metropolitan Avenue Bridge will activate and open for us as we plunge toward the “Heart of Darkness” at English Kills. The trip will be conducted no matter what the weather might hold for us, as the ship engaged provides ample comfort both within and upon its covered top deck. Photographers will be granted unique vantage points along the industrial and currently undefended border of Brooklyn and Queens, with vast panoramas of the greater city forming the backdrop, as our modern and comfortable vessel passes through Long Island City, Greenpoint, and East Williamsburg. There will be a galley onboard, and refreshments will be available for purchase at reasonable prices. Ticket price includes brochure of vintage maps. Refreshments available onboard. Fully narrated tour.